The Hakaras Hatov Initiative is using a multi-pronged approach to facilitate the shifting of one's focus towards the good. 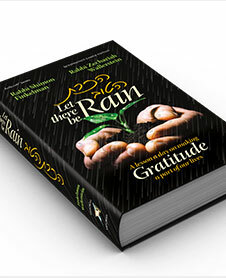 A book of stories, ideas and insights on gratitude, arranged for daily inspiration, has been coauthored by Rabbi's Shimon Finkelman and Rabbi Zecharia Wallerstein. Each an icon in their respective fields, the collaboration generated a sefer that is destined to transform lives for years to come. The book proudly joins the catalogue of the premier international Jewish publishing house, Artscroll-Mesorah. Let There Be Rain is an invaluable resource for character and relationship development. Journaling was the brainchild behind the entire Hakaras Hatov Initiative. Rabbi Wallerstein learned a midrash rabba that pointed to Achashverosh's practice of chronicling daily events. The infamous King of Persia would record who did 'good by him' and would assiduously make sure to reward and reciprocate in kind. The impact of this lesson evolved into the majestic creation of a 16 month calendar with diary pages for entries on reflections of daily gratitude. This artistic masterpiece, a Yonah Weinrib commission, is a gift item containing kriyas shema al hamita, the bedtime prayer. 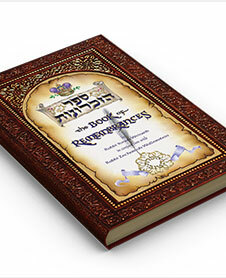 TheSefer Hazichronos, The Book of Remembrances is a powerful tool to continuously boost happiness and have long term impacts of gratitude and optimism on the writer and all of his or her relationships. In the information and technology age, a free and user friendly App is likely to be used often. Therefore, The Gratitude Apptitude is in the stages of development. Its purpose is to enable the user to log, share and post an entry on appreciation efficiently. 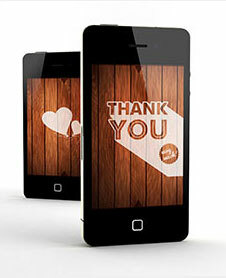 A technology medium for recording and expressing gratitude on impulse will catapult the occasional action into a habit.